UK TO END ITS IVORY TRADE. WOOHOO. FANTASTIC NEWS FOR LOTS OF REASONS AND ABOUT BLOODY TIME. It’s not yet been approved by Parliament yet, but they are amongst the toughest of any ban yet enacted anywhere else in the world. They cover all ivory items, not just those carved or produced after a certain date. Unlimited fines or five years in prison await those found guilty of breaching the ban. Britain was the world’s largest exporter of ivory between 2010 and 2015. Closing its markets therefore brings it in line with China, Hong Kong, and the US (if they stick to their plan) – other major former ivory traders – and will at least send the powerful message that globally there should simply no demand for ivory any more. With no demand, there’ll be no supply. The job is not yet done however as the EU continues to permit ivory sales, but sales of ivory from the UK made up a significant chunk of the EU’s total exports hopefully the UK’s move will add even more pressure on Brussels and the black market trade needs to be further investigated. 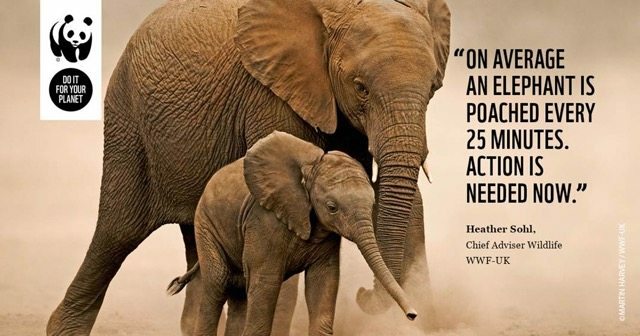 Remember: protecting elephants is not only about saving an endangered species. It’s about protecting Africa’s landscapes and rangelands, and safeguarding people’s livelihoods and the ecosystems communities and economies rely on.